Glamour combination of 18k white gold and one of the most precious stones in the world! 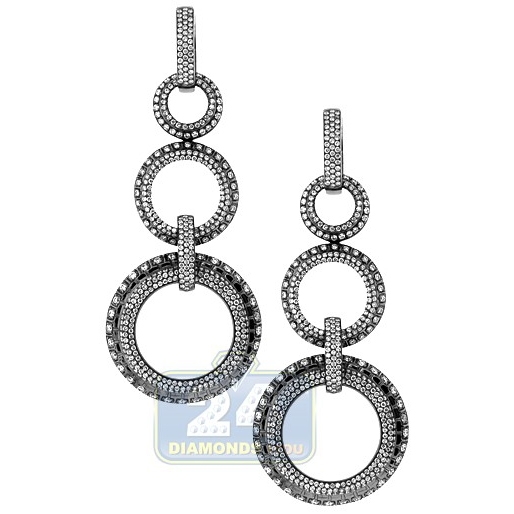 This dangling eye-catching hoops are studded with icy white round cut diamonds. 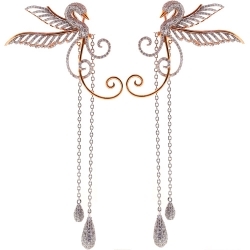 Total weight of gorgeous diamonds is 4.52 carats. 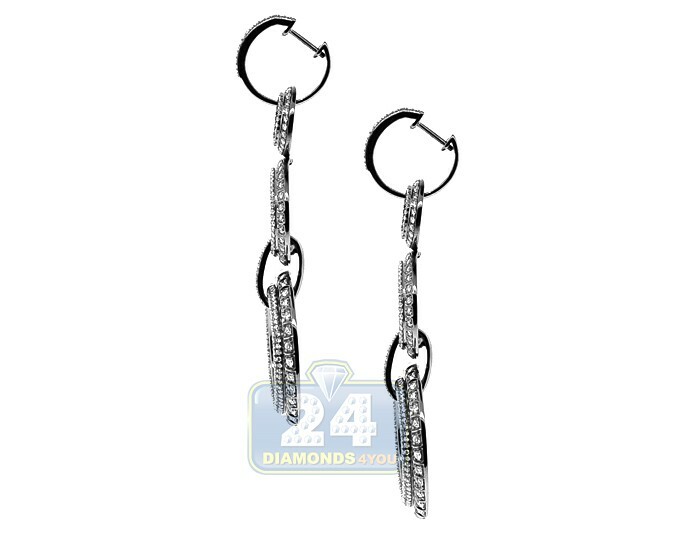 Unique black rhodium finish was added to highlight beautiful design of earrings. Give your look a touch of precious sparkle with 18k white gold & round cut diamonds.